Oh look, another book of essays about books and personal reading. Yes, please. Am I Alone Here? 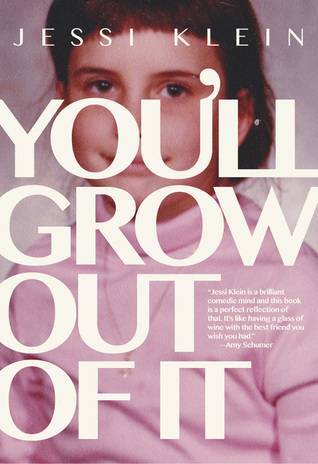 is an interesting collection of personal essays. 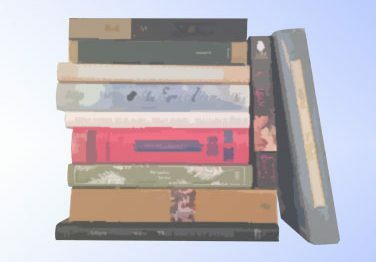 Orner contrasts what he is reading – or finds he NEEDS to read at times – with his personal life. His relationship with his dying father is complicated and his relationship with his ex-wife (who appears to have bipolar disorder) both come under scruitiny. The writing gets a bit navel-gaze-y on occasion, but the range of authors Orner reads and writes about is really awesome (particularly the short story writers). 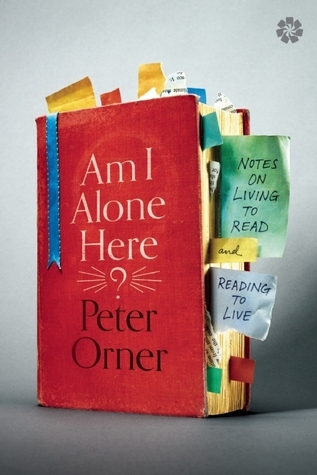 Orner has a toss-off line that states he prefers literature where families have trouble communicating and it’s a through-line between his reading and memoir. Another great book from Catapult. 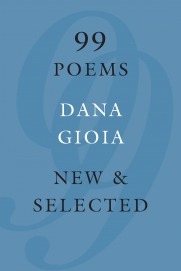 Dana Gioia has long been celebrated as a poet of profound intelligence and powerful emotion, with lines made from ingenious craftsmanship. 99 Poems: New & Selected for the first time gathers work from across his career, including a dozen remarkable new poems. Gioia has not ordered this selection chronologically. Instead, his great subjects organize this volume into broad themes of mystery, remembrance, imagination, place, stories, songs, and love. The result is a book we might live our lives alongside, and a reminder of the deep and abiding pleasures and reassurances that poetry provides us. 99 Poems is a beautifully wrought and precise poetry collection but it feels very bloodless at times. Some poems are meant to be Poe-like, but I don’t get a chill. Some are worded to be melancholy, but I don’t feel sad. The best sections are III (Remembrance) and IV (Imagination) where emotion begins to come through. He also has a whip-crack jab at MFA programs in My Confessional Sestina (p86). Dear FTC: I borrowed a copy from the library. 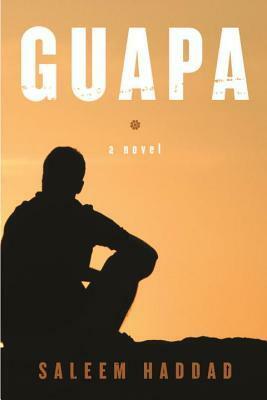 Guapa is a moving debut about a young man caught between his public and private personae and the turmoil in his country. Haddad’s writing is strongest when Rasa looks back over his own life, examining his relationship with his grandmother, the growing realization that he is gay, and how he places himself within the larger Arab and Muslim cultures. The forward drive of the plot sort of conks out about halfway through the book but that’s a minor complaint. One of the most interesting things I noticed was that nearly every character, major or minor, tells Rasa WHO he is at some point in the book, making it a novel about “labels” as well as Rasa’s awakening. 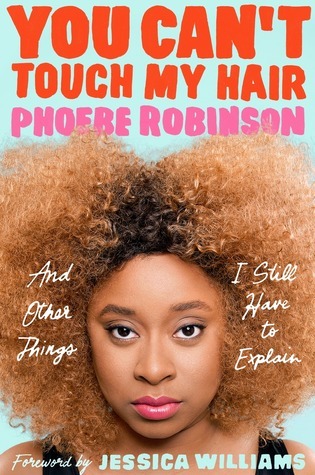 You Can’t Touch My Hair is a laugh-out-loud book of essays about race and culture from the wonderfully funny Phoebe Robinson (of 2 Dope Queens and Sooo Many White Guys and other comedy/stand-up places). The opening chapters about hair are a draw, but the chapter “Uppity”, about the stereotype of the Angry Black Woman, is worth the purchase of the book for those 20-ish pages alone. And then she ends with an excellent series of letters for her little niece, Olivia (we benefit from those letters, too). Dear FTC: I purchased my copy of this book at Book Riot Live. It’s all true. Every panel. 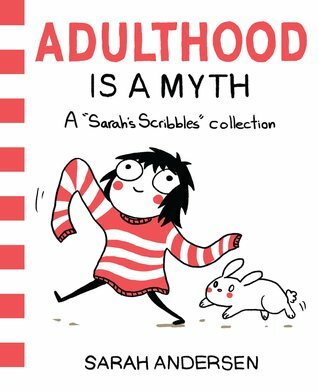 If you don’t already read Sarah’s Scribbles online, go do that. So glad I got to meet Sarah at Book Riot Live. The acid attack resonated far beyond the world of ballet, both into Russia’s political infrastructure and, as renowned musicologist Simon Morrison shows in his tour-de-force account, the very core of the Bolshoi’s unparalleled history. With exclusive access to state archives and private sources, Morrison sweeps us through the history of the storied ballet, describing the careers of those onstage as well as off, tracing the political ties that bind the institution to the varying Russian regimes, and detailing the birth of some of the best-loved ballets in the repertoire. From its disreputable beginnings in 1776 at the hand of a Faustian charlatan, the Bolshoi became a point of pride for the tsarist empire after the defeat of Napoleon in 1812. After the revolution, Moscow was transformed from a merchant town to a global capital, its theater becoming a key site of power. Meetings of the Communist Party were hosted at the Bolshoi, and the Soviet Union was signed into existence on its stage. During the Soviet years, artists struggled with corrosive censorship, while ballet joined chess tournaments and space exploration as points of national pride and Cold War contest. Recently, a $680 million restoration has restored the Bolshoi to its former glory, even as prized talent has departed. As Morrison reveals in lush and insightful prose, the theater has been bombed, rigged with explosives, and reinforced with cement. Its dancers have suffered unimaginable physical torment to climb the ranks, sometimes for so little money that they kept cows at home whose milk they could sell for food. But the Bolshoi has transcended its own fraught history, surviving 250 years of artistic and political upheaval to define not only Russian culture but also ballet itself. In this sweeping, definitive account, Morrison demonstrates once and for all that, as Russia goes, so goes the Bolshoi Ballet. 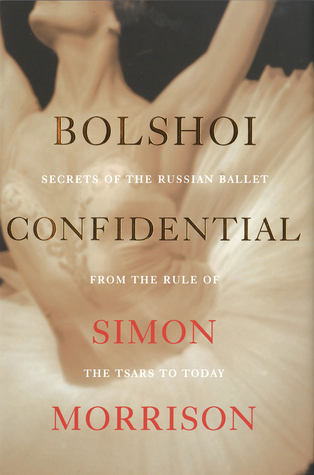 Bolshoi Confidential was at the top of my list of galley-gets at BEA. (I mean, come on – I’m “balletbookworm” pretty much anywhere on the Internet.) I wasn’t able to get it read for the release date so I saved it for my plane ride to Book Riot Live. Overall, Bolshoi Confidential is a well-researched book detailing the history of the Bolshoi Ballet in Moscow from its early origins as a motley theatre troupe pre-Napoleonic invasion through the nearly $700 million renovation of the Bolshoi theatre in the 2000s (and the acid attack on artistic director Sergey Filin in 2013). Of particular concentration are the Soviet years, when political ideology forced the artists of the ballet to reject “formalism” (a work’s artistic value is determined by its form) for glorification of the realism of the Soviet people. This was an ever-shifting, uncertain, and hard-to-perfect definition since a) that stricture doesn’t particularly lend itself to creativity or good art and b) could land the artist in hot water/unemployment/worse depending on the mood or whim of the censor. It really is this push-pull between the Imperial and Soviet histories that creates a lot of the friction that makes for good reading. However, it is very obvious that Morrison is not a dance writer, or even a dancer. His descriptions of dance steps or clarifications between the major evolutions of ballet (the introduction of blocked pointe shoes, for instance, or differences between French, Italian, Russian, Bournonville, Cechetti, and Vaganova styles) are muddled or stilted. The section discussing the struggles of Prokofiev, Shostokovitch, and Khatchaturian – all major Russian composers of the 20th century ballet repertoire – is extremely well-written and wonderful to read. Morrison is a professor of music and it shows. But the focus is on the music and less on the dancers. In a book marketed as an inside look at the Bolshoi BALLET, there needed to be more about the actual dancing and dancers. A good read overall, but I needed more. Dear FTC: I picked up a galley of this book at BEA. On a train bound for the seaside town of Jarmuli, known for its temples, three elderly women meet a young documentary filmmaker named Nomi, whose braided hair, tattoos, and foreign air set her apart. At a brief stop en route, the women witness a sudden assault on Nomi that leaves her stranded as the train pulls away. Later in Jarmuli, among pilgrims, priests, and ashrams, the women disembark only to find that Nomi has managed to arrive on her own. What is someone like her, clearly not a worshipper, doing in this remote place? Over the next five days, the women live out their long-planned dream of a holiday together; their temple guide pursues a forbidden love; and Nomi is joined by a photographer to scout locations for a documentary. As their lives overlap and collide, Nomi’s past comes into focus, and the serene surface of the town is punctured by violence and abuse as Jarmuli is revealed as a place with a long, dark history that transforms all who encounter it. A haunting, vibrant novel that was long-listed for the Man Booker Prize and the DSC Prize for South Asian Literature and short-listed for the Hindu Literary Prize, Anuradha Roy’s Sleeping on Jupiter is a brilliantly told story of contemporary India from an internationally acclaimed writer. Sleeping on Jupiter was a surprise galley I picked up from the lovely people at the Graywolf Press booth at BEA. I’m not well-read in contemporary Indian or south Asian literature so I was eager to pick this up (I won’t pass up a Booker long-listed novel). 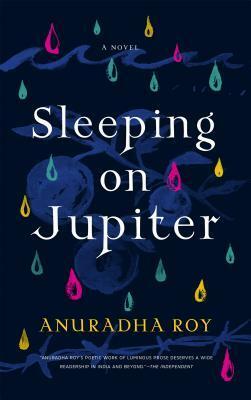 Sleeping on Jupiter is a deeply spiritual yet very stark novel about six people in a temple town: three elderly women on a vacation/pilgrimage, a temple guide, a photographer, and a young woman using the guise of a location scouting trip to find the ashram where she lived as a child. It was interesting that Roy chose to create Jarmuli; the town isn’t a real place, but an amalgam of seaside towns full of religious pilgrims and tourists. I was very taken with the writing style. Roy was able to describe the town, Nomi’s childhood, and the seaside with precision yet I didn’t feel over-loaded with descriptions. Utterly spellbinding and heartbreaking. Trigger warning for several scenes of sexual violence and child abuse (Roy based these scenes on legal cases in India). Dear FTC: I picked up a galley of this novel at BEA. This has been my year of reading humorous personal essay collections by funny ladies (Lindy West, Luvvie, Jenny Lawson, Faith Saile, next up in line is Phoebe Robinson and in the library hold queue is Amy Schumer). Crush the patriarchy! Rather than laugh-out-loud funny or sassy, in You’ll Grow Out of It Klein goes for sarcastic self-deprecation (lady, we can be wolves together) when interrogating what, exactly it means to try for sleek femininity when all we really want to do is drink wine at lunch and watch old movies in our ratty sweats.